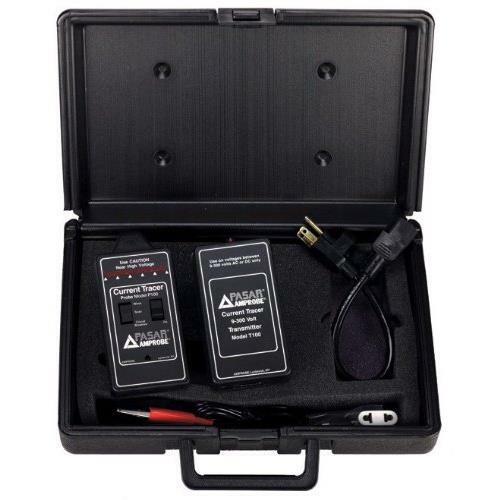 Amprobe CT-100 is a wire tracer recommended for tough industrial applications. 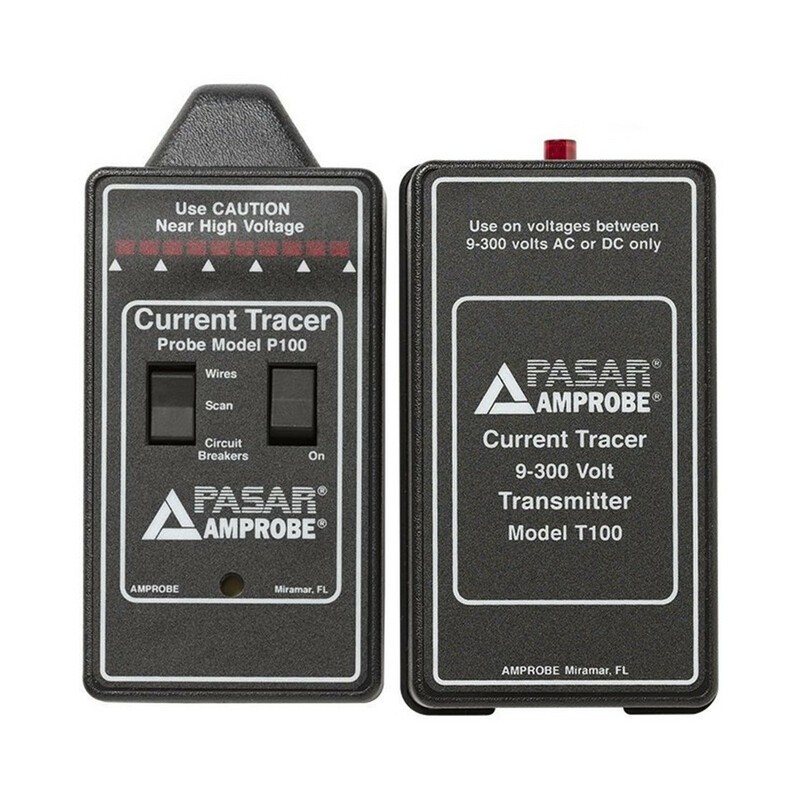 The CT-100 current tracer traces live wires buried underground or hidden behind walls up to 4 feet deep without having to interrupt power. 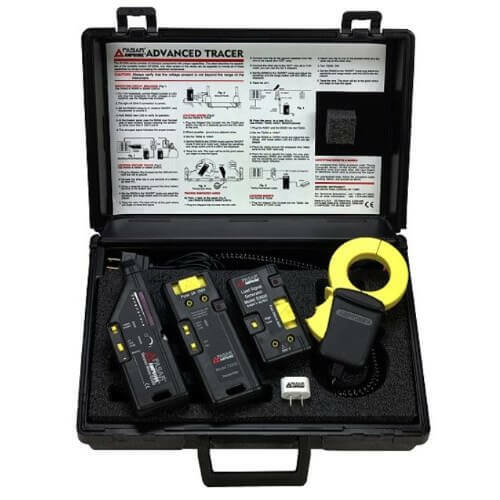 The CT-100 wire tracer has many applications such as locating breakers, shorts, feeder lines, utility boxes, branch lines, ground or neutral lines, and wires. 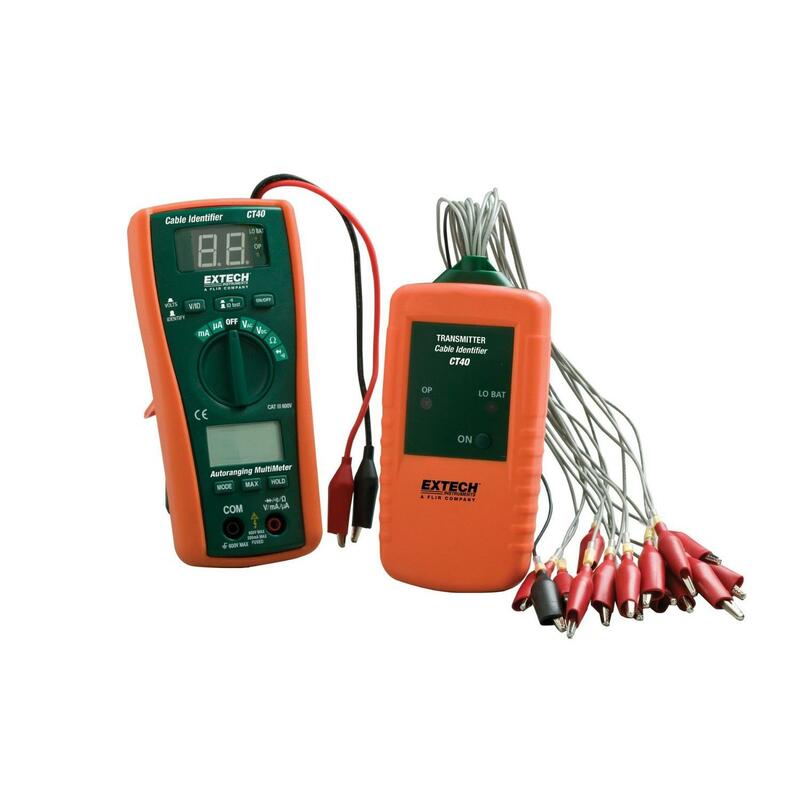 This wire tracer and circuit tracer locates both energized and non-energized cables. 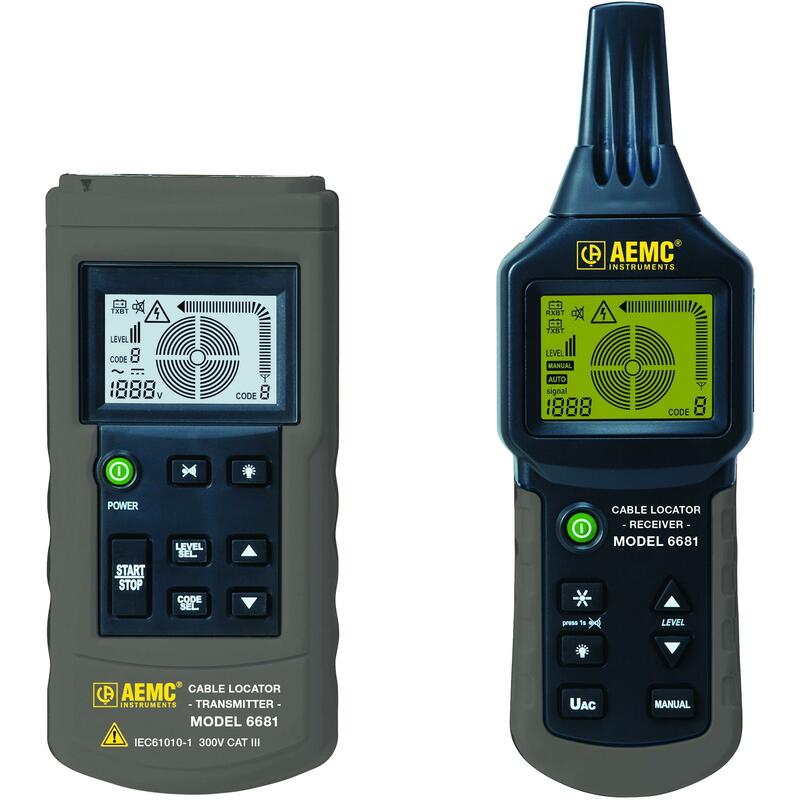 The CT-100 features signal select and distortion alert to provide superior accuracy by visually indicating a clean signal of the traced line, versus “ghost and return” path of false signals coming from the adjacent lines, keeping the user on the target line. If you are working in a hospital, industrial setting, around computers, or sensitive electronic equipment, you can locate the appropriate circuit breaker without turning off the power to the other circuits. Trying to follow wiring by visually tracing the path? Not easy, is it? Using the CT-100, you can eliminate this time consuming, error-prone approach and trace wires in walls, ceilings, cable trays, and other locations. Locates breakers, neutral, ground lines and wires, etc. 4/7/17 got 3 at 10% off pp. 8/26/16 price lowered from 498.33 to 450.00 to get buy box. 7/21/15 lowered pricing, as we plan not to carry it anymore. Simple but not cheap. 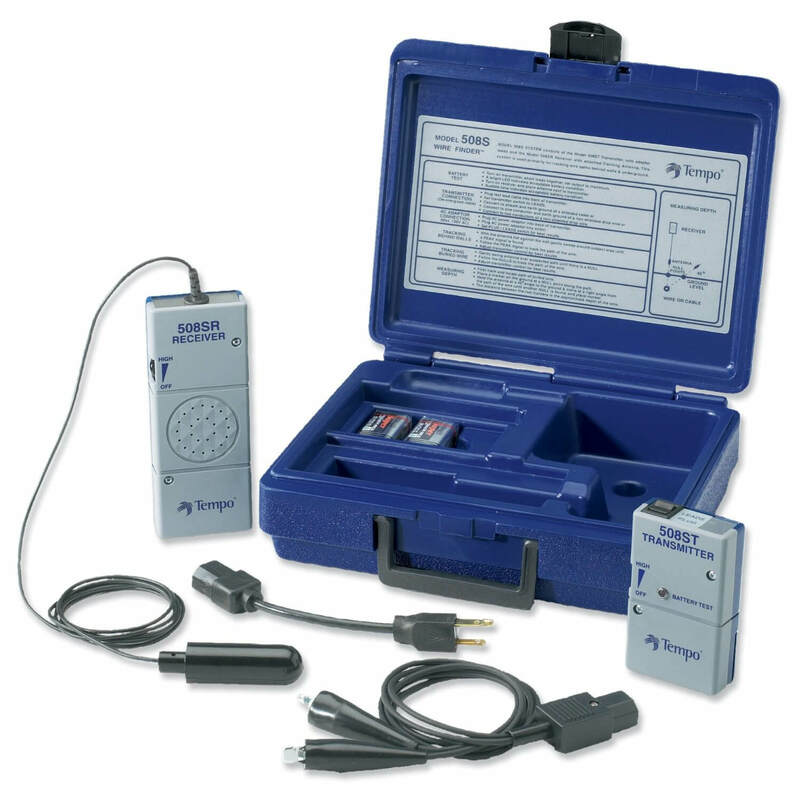 This tracer is super easy to use, plug and play so to speak but it always gives good accurate readings and is durable enough to use in more industrial settings. Love it. It is an older model, I know it, as I had one before, but this is why I got it again. Great for energized wires, works fast and 3 sensitivity levels speed up finding wires or breakers. I am glad Amprobe still makes it. Traces wires and breakers in commercial settings well. It might be looking like an old style instrument, but it accurate and find breakers fast. I have an old Ct-100 tracer that all the guys in the Service Dept. would ask to use because it's easy to use and accurate. We had tried the Greenlee and Ideal models (all types and prices) but this cheapier tracer was always preferred. There easy to use and don't give false readings when your working in places like Server Rooms where errors can be disruptive. Now there on all the vans and everyones happy! Clean signal is one feature I like the most. It does help to figure out, if trace signal comes from line you work on or a return path. Clear results and faster work. It looks and feels like an older type meter, but it traces wires very well in commercial builtings. It has a strong signal that goes a long way. This is what you need, if you are a professional electrician. I have used this numerous times on the job. Very accurate and simple to use. This unit has been working fairly well for me. It was given to me used from one of my coworkers who upgraded his unit. Still accurately traces wires in walls and hasnt let me down yet.